The Special Session Starts Tonight. Here's What You Need To Know. The Special Session Starts Tonight. Here’s What You Need To Know. 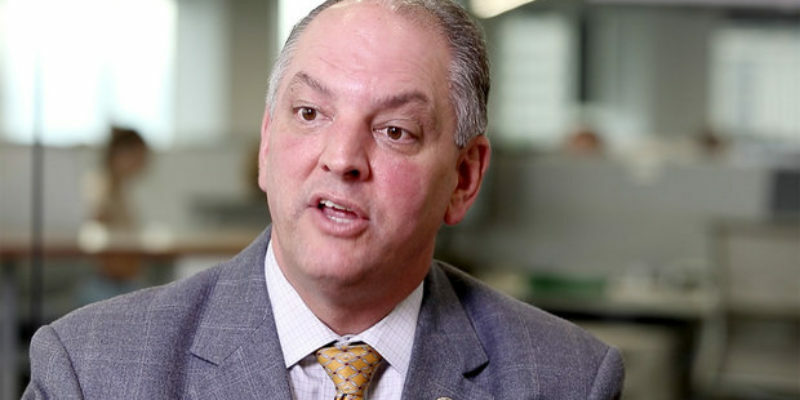 Tonight, a special legislative session to try and fix the major budget shortfall (again) goes into session, and we’re already hearing Governor John Bel Edwards trying to be strong and demand his agenda gets passed. There’s even an op-ed in The Advocate and everything! The budget challenges facing the state of Louisiana are not new, but there are very real consequences to the decisions leaders make to solve our problems. This week, the Legislature convenes in a special session to address our $304 million budget shortfall. We must solve this deficit in a thoughtful and deliberative manner that protects our most critical priorities to the maximum extent possible. Let me remind you, we began this fiscal year $326 million short of what was needed to continue the same level of services the state offered in the last fiscal year. On top of that, the state has spent $246 million in flood response and recovery that was unbudgeted and made $313 million in general fund adjustments in December to address the shortfall from last fiscal year. All of these challenges combined have made the effort to address our current $304 million shortfall much more difficult. This is all well and good – shortfalls are not something new to Louisiana, after all – but the meat of the op-ed leads us to what we knew going in we could expect from Edwards. And, he doesn’t disappoint. Here’s what you need to know about the session starting this evening. This one has probably gotten the most play leading up to the session. Edwards is citing the fact that Bobby Jindal tapped this money four times during his administration, which… somehow apparently makes this the right thing to do? I dunno. We’re heard a lot of legislators are against the move, however, and will fight it. In particular, Edwards wants to raid about $120 million out of the fund, which would cover about 40% of the overall shortfall, he says. He says it’s not a threat, just a fact of the situation. Of course it’s not a threat. There are many state services that should be cut. Often, we just can’t cut from them because they got exceptions carved into the state’s laws and constitution. I would rejoice if many state services were cut and the size and scope of the state was shrunk drastically. He swears he won’t stop investing in the “leaders of tomorrow,” although, to be fair, some of the people being invested in write for the Daily Reveille. Let’s give and take a bit here. …But he doesn’t seem to discount creating any new ones or eliminating any exemptions. It’s almost guaranteed he’s going to sneak something in somewhere, and tell us all later how he kept that tax/fee increase promise. Meanwhile, we’ll be paying more in taxes. Honestly, though, I’m not entirely opposed to a new or restructured tax, so long as it’s done right and not used as a means to pay off the donors and supporters who got Edwards elected in the first place. It is where the money goes that has always been the problem, and the punitive nature of taxation as we know just depresses the people who would otherwise be eager to go out, buy local, and support their city and state. And, this recap is of course the best case scenario for the session. The worst case is a lot of crying and Edwards making a State Of The State address that warns us we could shut down LSU football and he really means it this time, you guys.